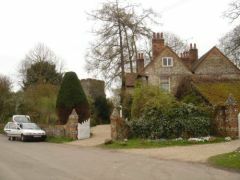 Some of the houses that are located next to the village church. 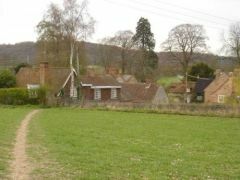 More village houses. The famous windmill can be seen in the distance between the houses on the top of the hill. Another village house. The tower of the village church can be seen in the background. 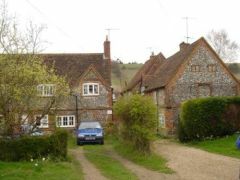 A few village houses that are seen as you approach the village walking down the steep hill from the windmill. 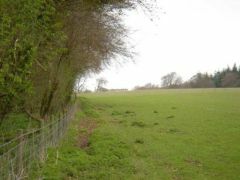 A field situated at the top of the hill above Turville village. In the distance is a herd of wild deer. 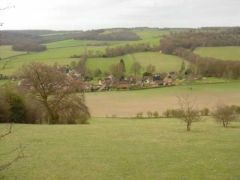 An overhead view showing the whole of Turville village. 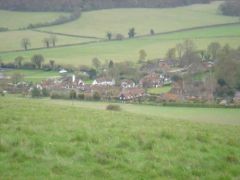 A view of the whole village from the top of the hill. 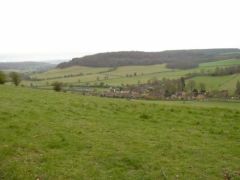 This shows the beautiful valley that the village is located within. Another view of the village this time taken from next to the windmill. 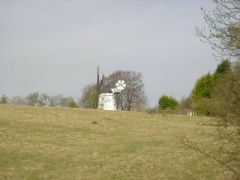 A close view of the famous windmill used as a location for the film Chitty Chitty Bang Bang. 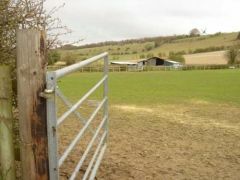 This view through a farm gate shows the windmill on the top of the hill above Turville. 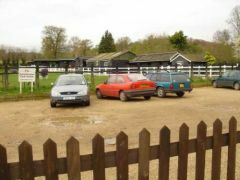 The main car park for The Bull and Butcher public house. 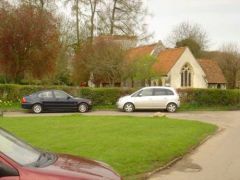 Turville Church on a busy Easter Sunday morning. 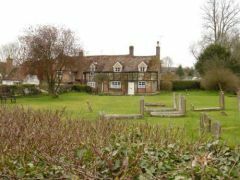 This was famously used as a location for the Vicar of Dibley. 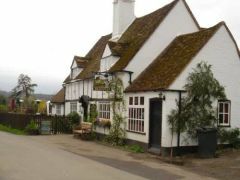 The Bull and Butcher public house serves high quality British pub food and real ale.